Jimmy and I found ourselves discussing a few cool 180s this morning and nit picking a bit, so I figured it might be fun to post here about one of them. I’m sure most of you have seen this car online before, but I think it still looks good in 2017. 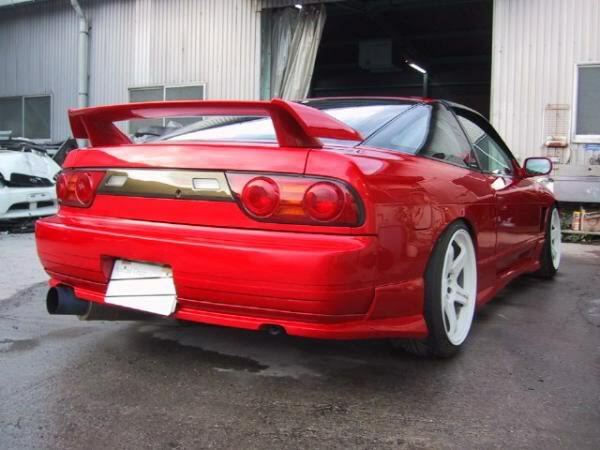 I’ll always be a fan of red 180s, especially with white TE37s- or in this case, LMGT4s? The Hot Road hood looks awesome with the kouki front bumper, complete with R33 N1 ducts and plate cutout. 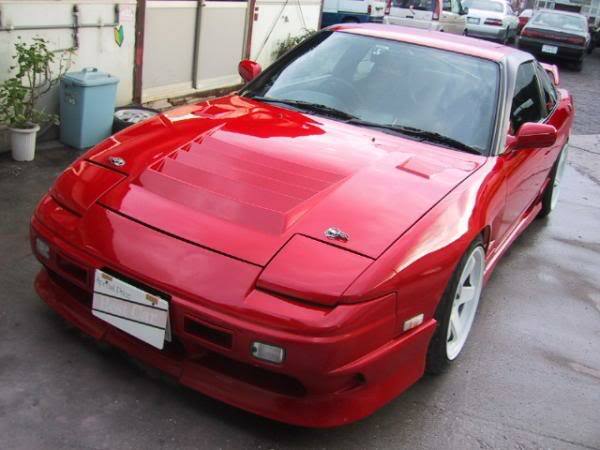 It looks like the lip is actually molded in, so maybe it’s an aftermarket front bumper? G Grow? Hard to say. Stock mirrors and OEM window visors are an interesting touch. Note the clear side markers and lack of lower turn signals as well. I would love to try a Hot Road hood at some point down the road. Out back we find a G-Grow rear valence- one of my all time favorites. 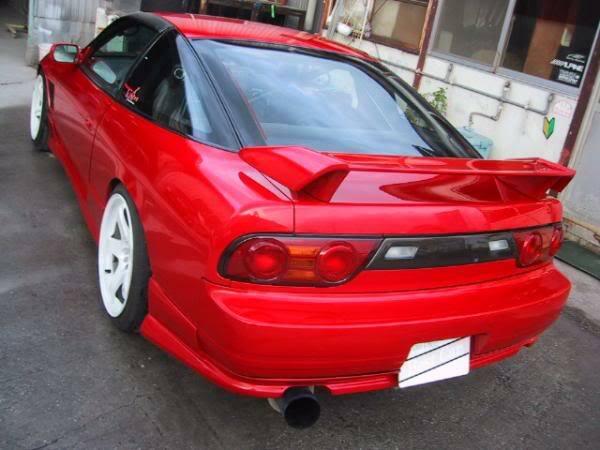 It’s the perfect balance between the OEM kouki valences and the Hot Road piece. The sides are probably G Grow as well, but it’s hard to tell. I wish that aero was still being produced. It looks like there is five point roll bar in there as well. Canister exhaust looks really neat. Upon further inspection, I think these are probably NISMO LMGT4s. Tough to tell from these angles. I can’t wait to shave my third brake light and rear side markers someday when I repaint my car- such a great addition! Note the single vent front fenders as well. I considered a set of these last spring but ultimately decided to stick with the OEM metal fenders. Kevlar look garnish ties it all together nicely. Have an excellent weekend! Only one week to go until Final Bout III. Looking forward to it!